Poco F1 is now receiving a new MIUI 10 Beta update which bumps the version to 10.8.12.4 and it brings two major camera features to the smartphone. The first feature is the 960fps slow-motion video recording and the second one is the super low-light mode which was introduced with the Xiaomi Mi Mix 3. Already, Xiaomi rolled out the Super Low-Light mode to the Mi 8 and Mi Mix 2S smartphones, and now, the Poco F1 gets the treatment. Sony was the first manufacturer to introduce 960fps slow-motion video recording on a smartphone which was later followed by Samsung and other brands. The Poco F1 now gets the feature, but it’s unknown at the moment whether Xiaomi is limiting the recording to a few seconds like Samsung. Xiaomi Poco F1 Gets MIUI 10 Beta 10.8.12.4 Update: What’s New? Coming to the Super Low-Light Camera mode, it works similar to Google’s Night Sight and OnePlus’ Night Scape modes. It captures better light in low-light scenarios, but it would be interesting to see how it performs in real life. We’re trying to install the update on our Poco F1 and will compare OnePlus 6′ Night Scape mode with Xiaomi’s Super Low-Light mode very soon. Xiaomi’s Poco F1 is one of the best value for money smartphones you can purchase right now. 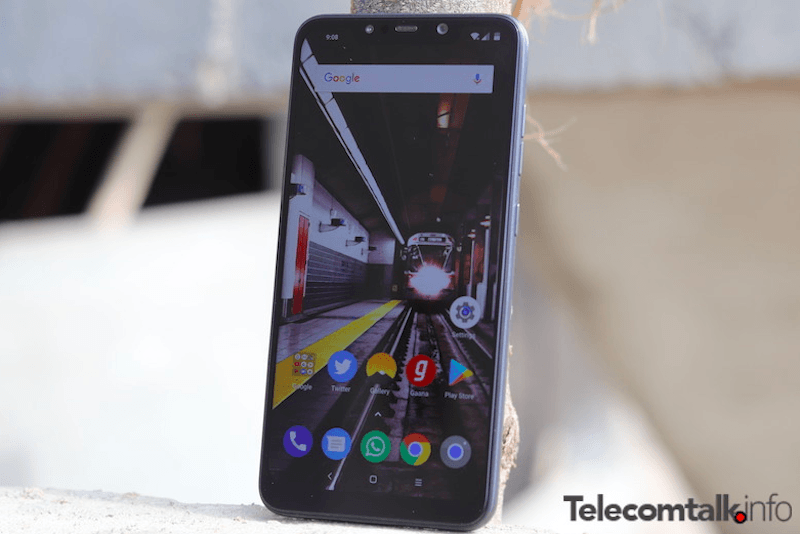 The Poco F1, which is available at a starting price of Rs 20,999, offers the flagship Qualcomm Snapdragon 845 chipset. Xiaomi recently pushed the stable MIUI 10 update based on Android 8.1 Oreo to the Poco F1 and it even pushed MIUI 10 Global Beta ROM based on Android 9 Pie. Hopefully, by the end of December 2018, the phone will receive stable MIUI 10 update based on Android 9 Pie as the testing is currently going on. Back at the launch event, Xiaomi promised that it would push at least two major software updates to the Poco F1 which include Android P and Android Q. Yesterday, Xiaomi announced that it would be offering the Poco F1 with up to Rs 5,000 discount during Flipkart’s upcoming sale. The Poco F1 base variant with 6GB of RAM and 64GB of internal storage can be purchased for Rs 19,999, while the variant with 6GB of RAM and 128GB of storage is available for Rs 21,999. The premium variant with 8GB of RAM and 256GB of storage can be purchased for Rs 25,999. Only 10 seconds at the most at 960fps. First of all its a closed beta. Secondly sony and Samsung use sensors with dram and poco imagining sensor doesn’t have a dram. So it isnt true 960fps.